After a bright yet cold Spring its fantastic to enjoy a stretch of really good weather and two sunny Bank holiday weekends too.Everyone is smiling. Ameisha attended a Rangers event at Camelford yesterday finishing at 3.00pm. The weather was so lovely everyone stayed around, chatting, generally enjoying themselves and spending more money – the girls are very happy! It seems like nature is about a month behind on previous years. 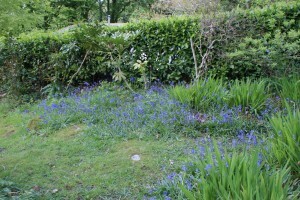 Guests arriving at Lakeside last weekend commented on the bluebells. They’ve never seen them at Darrynane before and they come every year at this time. We had daffodils out well into May, quite unheard of as they often struggle to make Easter even if its in March. The garden is looking beautiful. 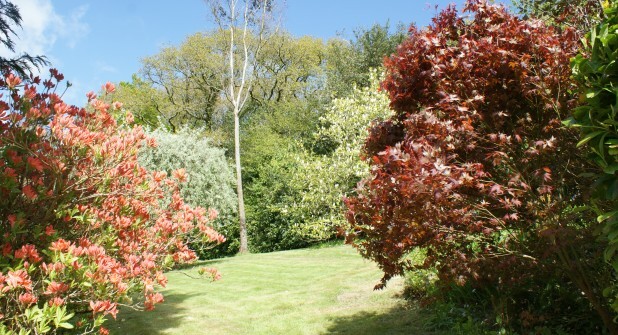 Trees with their fresh new leaves contrast with the dazzling colours of the Azaleas dotted around the garden. Australian guests are in awe as they can’t grow them back home. 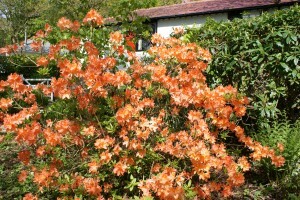 The Rhodedendrons are beginning to emerge too. Purple flowers of the common variety poke out of dark green bushes scattered around the garden. 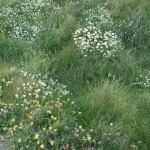 Red, pink, white and Cerise blooms cover the cultivated ones. The white pom poms of the Wild garlic offer a great display and taste good too – we cooked a chicke, wrapped in Wild Garlic leaves on the Webber BBQ last night – delicious. 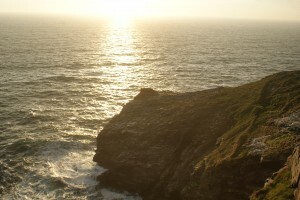 We spent a nostalgic evening on the cliffs at Tintagel recently, our old home. We bought fish from Peckish at Camelford on our way through and drove to Tintagel Church car park. Feeling full we set off along the headland to our families favourite seat overlooking Trebarwith Strand and Gull Rock. 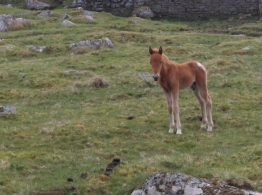 I have spent many happy yours with the children when young, running around the headland and our dogs at the time Pasta and Bobbin charging up and down after them. 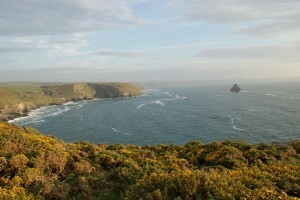 Trebarwith bay and Gull Rock. As we wandered back to the car the sun began to set – a wonderful evening. It’s Cornwall Show this week and the forecast is good. Many, including our Lakeside guests, enjoy it for the whole three days. There’s lots to see and do as well as buy. We bought dining room chairs last year – a good price and we’re very pleased. Whatever your taste you’ll find something. Music, dance, arts and crafts, country sports, dog show, farm animals including sheep, goats, pigs, lamas, chickens, cows, horses, flowers, honey, food, drink, fair ground rides, vintage engines, tractors, cars and of course clothes and shoes in fact you can buy almost anything at the show. The main arena has a timetable of events going on throughout the day. We always dip in and out as we pass by. Something for everyone and a great day out. Well that’s it for now, June is fully booked but we have cottages available in July and August – if you are considering a break we’re ready to take your call or email.